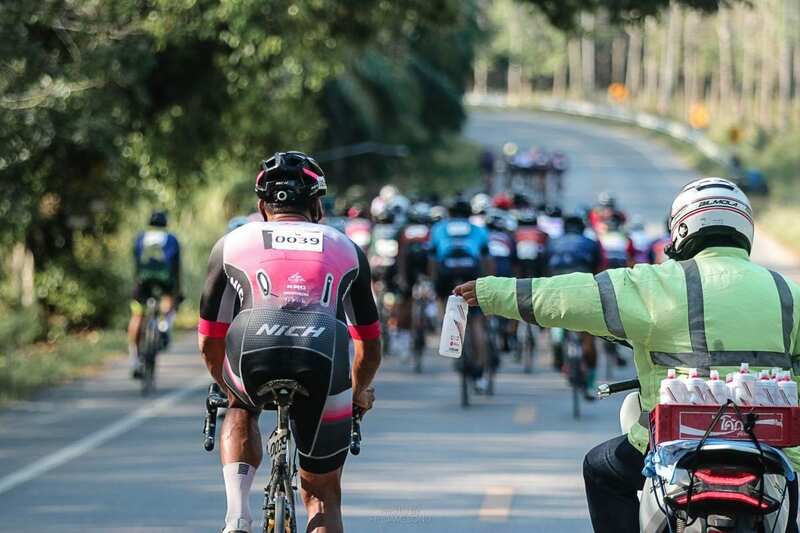 It all started with a casual conversation with Hong Kong based cyclist, Jon Guyett, about the planning for this year’s Singha Tour of Phuket and how an estimated 4,600 single use plastic water bottles were discarded during last years event. 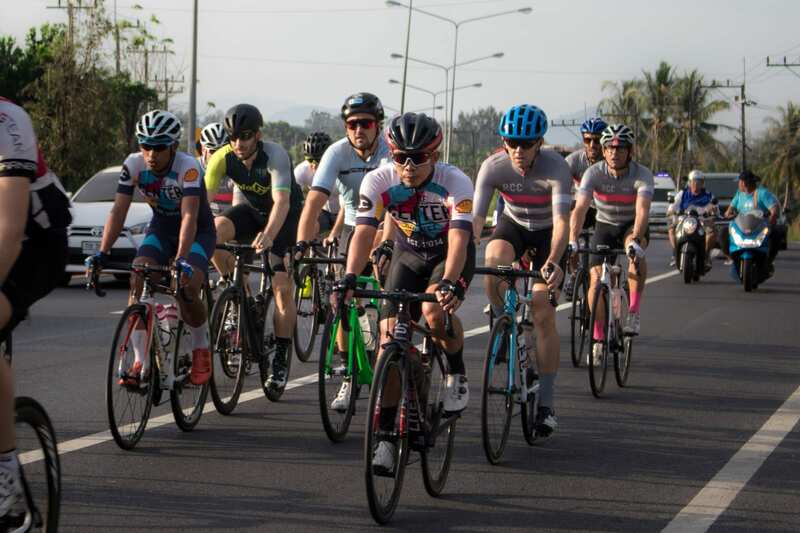 The Singha Tour of Phuket is a three-day race and weekend Gran Fondo for cyclists across the Asia region, now in its fourth year. It’s a fantastic event and Jon had participated in the Gran Fondo last year in sweltering hot conditions. As we worked through logistics for this year’s Tour, we soon realised that the participants went through 4,600 single use plastic bottles last year and as hard as Singapore based organizers – Cycosports – tried to limit wastage; it was clear to all that many bottles were discarded along the roadside. Globally South-East Asia suffers some of the highest rates of wastage and Thailand is no exception. Encouragingly this is a fact that the government acknowledged last year as they moved to ban all plastic waste imports by 2021. 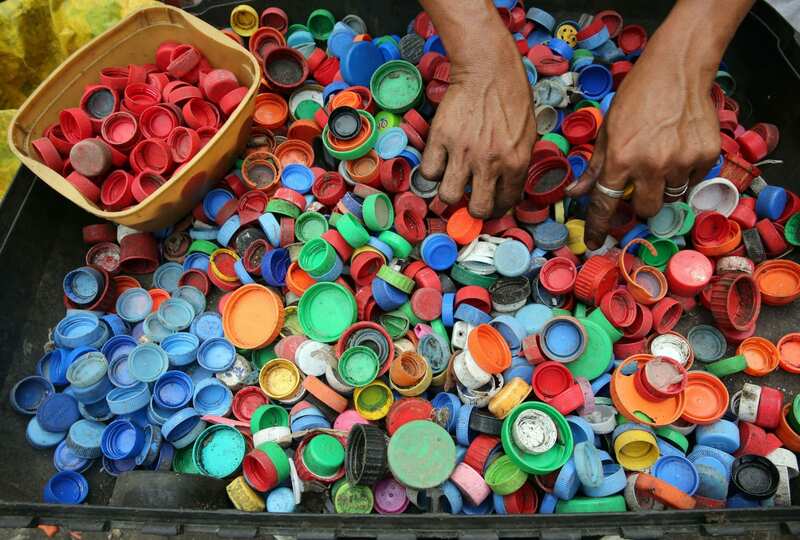 Currently, one of the most beautiful countries in the world produces 3.2 million tons of plastic waste and 4.4 billion plastic water bottles per year. The race and gran fondo take place in some of the most spectacular and remote parts of Phang Nga Province, including the famed Ao Phang Nga National Park. Jon is the Vice President of Global Marketing and Business Development for manufacturing company Hayco and on hearing these statistics, he was horrified. He subsequently leapt in to action. Hayco originates from humble beginnings in Australia in 1892 where they were a small broom and brush manufacturer with big ambitions. In 1983 they launched Hayco in Hong Kong and the family run business has gone from strength to strength. Today they have become increasingly aware and active environmentally and they see accountability and sustainability issues as critical to the running of a modern manufacturing business. He also knew that long-standing partners CamelBak were on a mission to reduce the use of plastic that ends up in landfills and pollutes our oceans. They are actively encouraging people to simply ditch disposable plastic bottles. Choose to reuse. Jon thought if they could provide the race with bidons (water bottles), the organisers could operate a one in one out policy; meaning you can’t get a refill until you hand an empty bidon back to water support. This would save thousands of water bottles being discarded along the side of the road. Jon subsequently spoke with CamelBak, who were supportive of the plan and within 48 hours they had agreed to supply the event with 700 bidons. The move to #ditchdisposables was inspired and a great example to all. Cyclists and the cycling industry have a responsibility to do what we can to reduce waste; stop discarding water bottles, gels and food wrappers. We have seen some great new initiatives where cyclists can now use cycle paths in Amsterdam which are constructed entirley from plastic waste and there are others too; but there is a lot more still to be done. As cyclists, we all enjoy the pristine roads and the scenery so to see companies like Hayco and CamelBak trying to make a difference and take a stance is awesome. If we can all do our own little bit and all encourage other companies within the industry to do the same, as a sport we can start to make a difference. And away from the bike, let’s spread the Hayco and CamelBak word and try and get everyone around us to #ditchdisposable.